Growing up Mark never thought much about working in the financial services industry. While his parents were actively involved building their business in this field, Mark was busy playing soccer, basketball and surfing the beaches of the South Bay. It wasn’t until he got older and met satisfied clients of their firm, that Mark began to see how he could make a difference in the outcome of the lives of others through prudent financial planning. Mark was born and raised in Torrance, CA. From an early age, Mark learned the benefit of hard-work when he started his paper route with the Daily Breeze Newspaper at the age of eleven. As a teenager Mark also worked: fast-food, sold retail at the local mall, parked cars valet and delivered pizzas. While in college Mark worked for an attorney service, which provided many large law firms with process serving and court filings. In his earlier years, Mark studied fine arts and some of his works can be seen here. After graduating college in the fall of 1995, Mark began to establish his own practice of financial planning clients. Mark was introduced to the industry by his father Stuart Tsujimoto. At the age of twenty-five he had not experienced many situations that garnered a need for financial planning in his own life. However, after getting married, purchasing a home and having children of his own, many of his views regarding personal finances have changed. Since 2005, Mark has been working alongside his father Stuart. Mark’s family has operated one of the largest and most experienced financial planning offices in the South Bay of Los Angeles since 1968. Mark is also a member of Cetera Advisor Networks, MVP Council and Premier Client Division, two exclusive groups within his firm. Specializing in retirement and estate planning services, many of Mark’s clients are either retired or preparing for retirement. As a result of this, Mark can be of benefit to those who are preparing to transition to retirement or are concerned about maintaining their current standard of living in retirement. In addition, as his client’s age, they have concerns about how their remaining assets will be transferred to the people and causes they care about. Mark has spoken and/or provided consultations for: Calpers (California Public Retirement System), Torrance Memorial Hospital, California State University Long Beach, the Chamber of Commerce and various other organizations. He has also been associated with the Financial Planning Association, the Financial Services Institute and the Foundation for Financial Planning. As an active member in the community, Mark has served on the Board of Directors for the South Bay Estate Planning Council and was Chairperson of the Professional Advisory Council for the Torrance Memorial Healthcare Foundation. 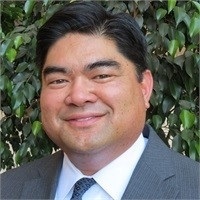 In addition, he has chaired various benevolence outreach programs in the Los Angeles area and serves on the financial advisory committee for his church. Mark resides in South Torrance with his wife and two children. He has been active in coaching youth sports and has served on committees for their schools. Mark and his family are also active in a local ministry. When time allows, their family enjoys taking short trips together, watching baseball and squeezing in a little golf.